More and more headphones are being created without wires, especially with the rise of more devices not having headphone jacks. The BlitzWolf Bluetooth 5.0 earbuds are an alternative to the pricey options out there. I’ve tried quite a few earbuds through the years, but the Blitzwolf earbuds were some of the fastest connecting ones I used. 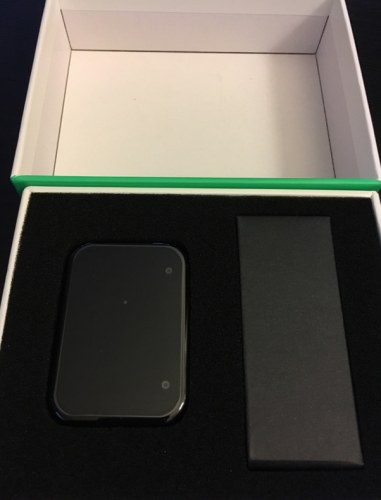 As soon as you open up the case, you simply open up Bluetooth connections on your device and find the BlitzWolf connection. 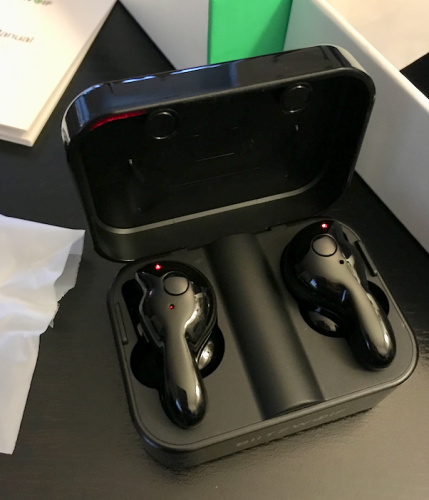 Once you select it, it pairs and then each earbud pairs together. It took all of 10 seconds to get it paired. Once you put them back in their case and then take them out again, they automatically pair again. If you don’t pair them to something, they’ll turn off after 10 minutes. I had a few problems trying to get the headphones to sync again once I took them out. The left earbud was constantly louder than the right one, even when they were paired. They’re fully charged, but even after 30+ minutes of trying to get it to work, the left side seems to be stuck louder. Resetting, unfortunately, didn’t fix the problem, either. There’s little lag between the sound on my computer and it hitting my ears. 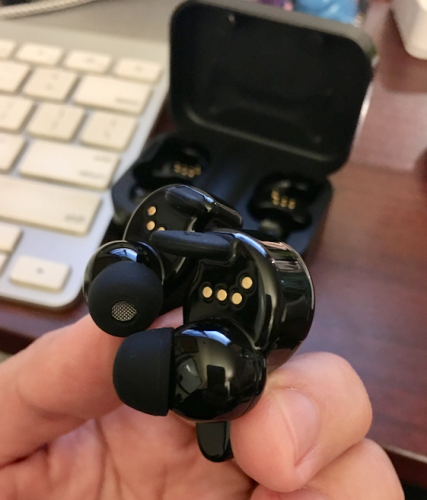 Some Bluetooth earbuds have far too much of a lag and it can make it a struggle to listen to things. 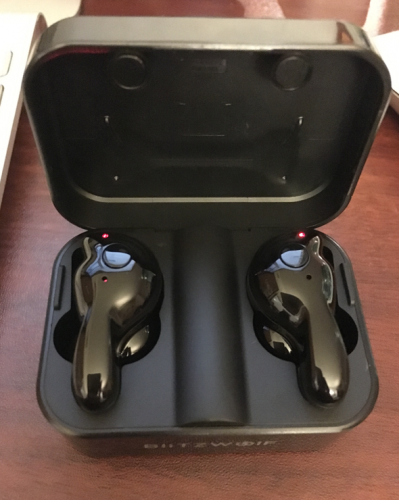 The BlitzWolf earbuds are incredibly light. They’re easy to wear for long hours without too much struggle. 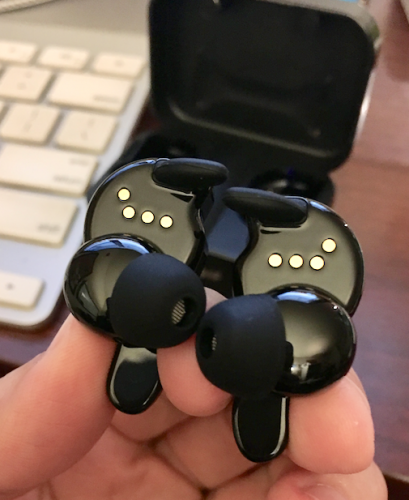 There are three different earbud sizes so you can find the right size for your ear. Fully charging the Blitzwolf headphones and the packaging didn’t take long at all. 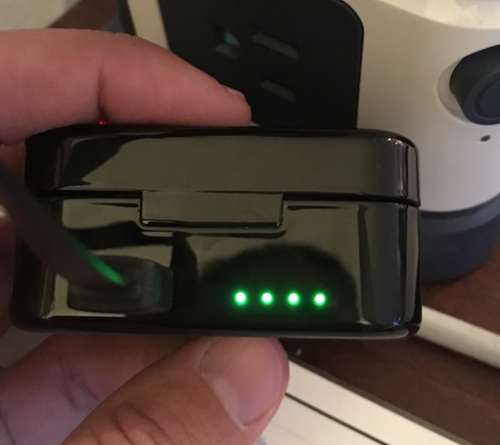 Using Bluetooth 5.0, it can stay connected up to 33 ft. so you can walk around without losing connection. The battery lasts up to 3 hours on a single charge. Then, you simply need to plug it into the charging case and it will recharge it on the go. The charging case itself lasts up to 12 hours, giving you access to your headphones all day. 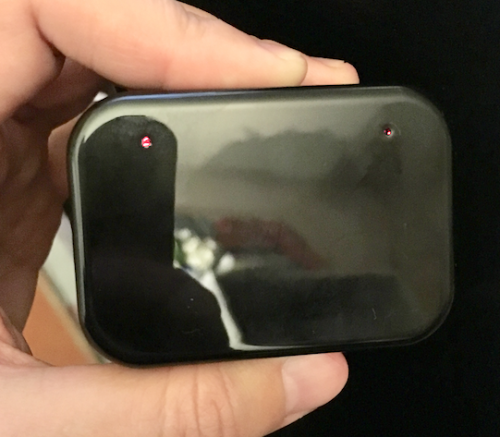 I received this product at a discount for the purposes of testing it and reviewing it. All opinions expressed are truthful and 100% my own.